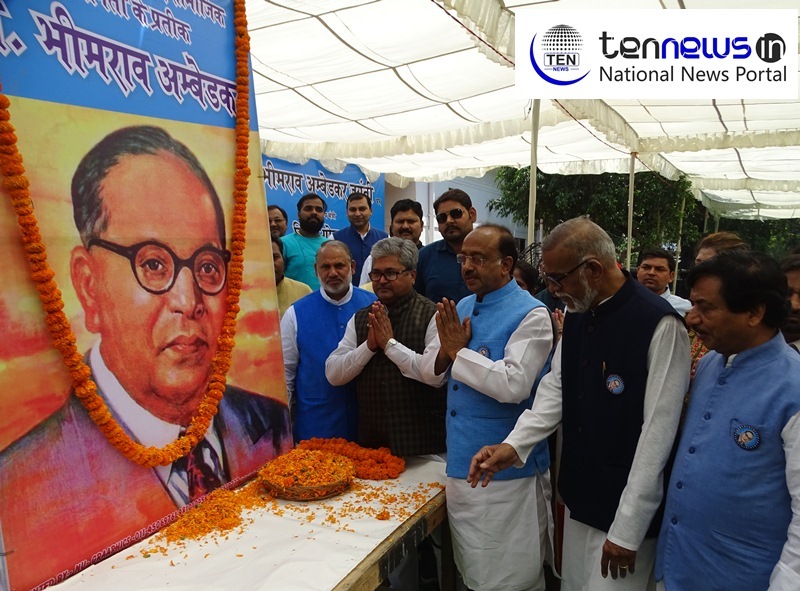 To mark 127th birth anniversary of father of constitution BR Ambedkar, Union Minister Vijay Goel held a community fest with members of Dalit community at his residence today. Speaking on the occasion he said that BR Ambedkar’s contribution in the making of India is unmatchable. During his entire journey he fought for the deprived class, women and wrote 23 books, however, ironically he is only remembered as a dalit leader. Union Minister further added, “Yesterday, Prime Minister Narendra Modi inaugurated the Dr Ambedkar National Memorial at 26, Alipur Road in Delhi. This is the place where Dalit icon and chairman of the committee that drafted India’s Constitution B R Ambedkar passed away on December 6, 1956. This all shows that BJP is doing a lot for Ambedkar. On that occasion, large number of members from Dalit community gathered at his residence and took part in community fest. BJP, Congress engage in war of words over legacy of Dr. BR Ambedkar!